Tanuja Vedere, M.D. completed her fellowship training at Louisiana State University in New Orleans. She is board Certified in Allergy, Asthma & Immunology and also in Internal Medicine. Tanuja Vedere, M.D. is a member of the American Academy of Allergy, Asthma & Immunology and an elected Fellow of the American College of Allergy, Asthma & Immunology since 2001. Tanuja Vedere, M.D. 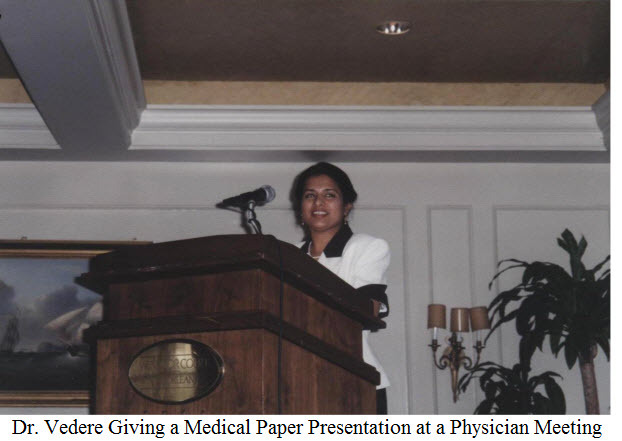 has been practicing Allergy, Asthma & Immunology Medicine since 1999 in South Florida.